We’ve all done some things in our lives that were straight-up embarrassing. When they happen, we try our best to completely forget them and move on–not wanting to feel like complete and total failures at all times. However, there are those moments when we lay in bed, awake at night, thinking about all the horrible and cringe-worthy things we’ve done and said to others. 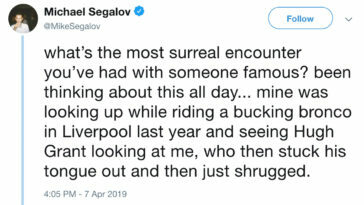 What better place to share these experiences than on Twitter with complete and total strangers, right? 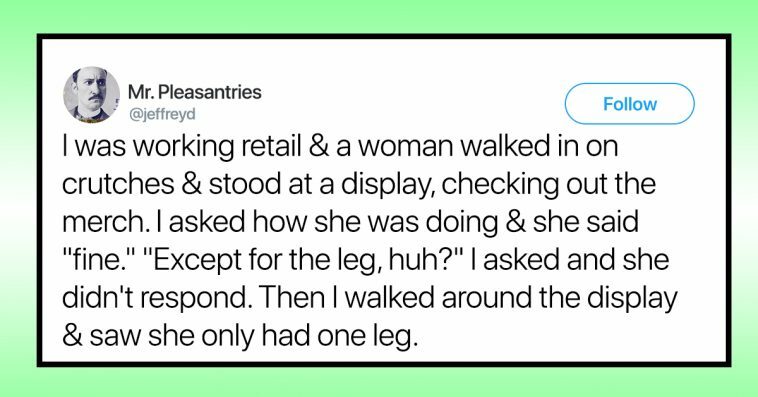 Twitter user Austin posed the question to the social media site–what’s the most embarrassing thing that’s ever happened to you? And, brace yourselves, people truly delivered.